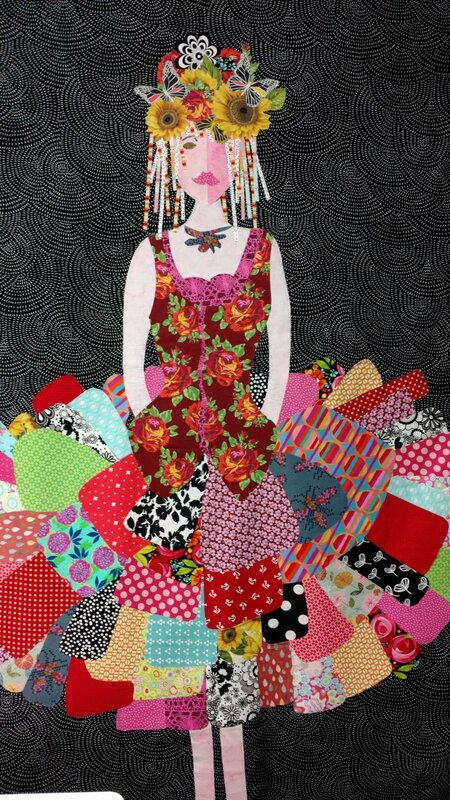 You can choose from several Laura Heine Collage patterns and create your own unique wall hanging or quilt. This is a creative process and uses fabric fusing instead of sewing. Leave your machine at home and bring lots of fabric to cut and play with. There are large and small projects to choose from. The Dress is one of many.